The eighth episode of “Game of Thrones” featured Jaime Lannister prominently as a devoted partner to his twin (and lover) Cersei. He literally threatened to kill a baby in order to get back to her, which was brutally similar to the time he pushed Bran Stark out of a tower in order to protect himself and Cersei. Can their love really last, though? In the books, Cersei’s murder is prophesied by a witch. And not just any witch, but a woman who correctly predicts two other important details of Cersei’s future. Some people believe this prophecy subtly names Jaime Lannister as the person destined to kill Cersei. We’ve seen this fortune teller in the series, back in the premiere episode of season five. 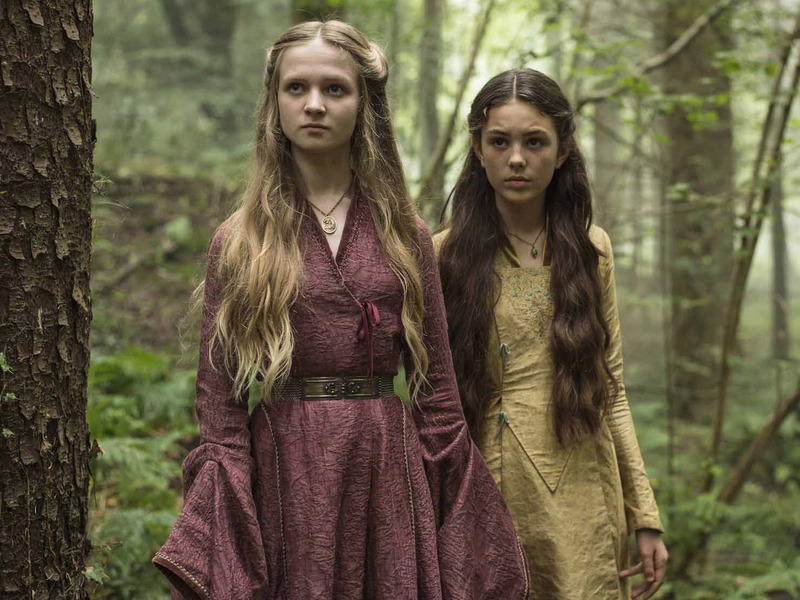 HBOYoung Cersei and her friend as seen in the opening of season five. Cersei: I’m promised to the prince. When will we marry? Maggy: Oh yes. You will be queen, for a time … until there comes another, younger and more beautiful, to cast you down and take all that you hold dear. Many fans of the books have analysed the last line from Maggy over and over again. HBOMaggy the Frog is a fortune-telling witch. For a long time, the standing theory was that the “younger, more beautiful” person was another queen. Margaery Tyrell was a clear candidate and the most obvious choice. She was about to marry Tommen and become Queen of the Seven Kingdoms, and this means bad news for Cersei. Back in the show’s opening scene, Cersei moves on from this disconcerting answer, and asks her second question: “Will the king and I have children?” Maggy responds with: “The king will have twenty, you will have three.” Cersei tried to interrupt, clearly confused. Helen Sloan/HBOTommen and Jaime stand over Myrcella’s dead body. Maggy continues, stating “Gold will be their crowns, and gold their shrouds,” before devolving into hysterical laughter. This line can be interpreted in a few different ways. The gold crowns could be literal crowns, since Joffrey and Tommen were both crowned king. Plus, in the books, there is a plot centered around women in Dorne crowning Myrcella queen. But it probably simply refers to their hair colour: blonde, like their parents. “Gold their shrouds” is more direct: all of Cersei’s children will die. 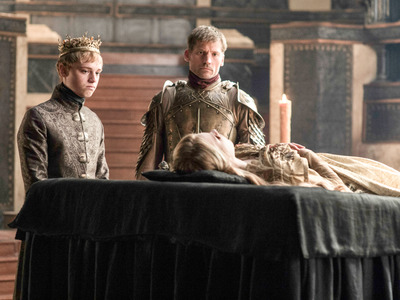 Joffrey and Myrcella have already both been murdered, and each was shown in golden funeral garb. 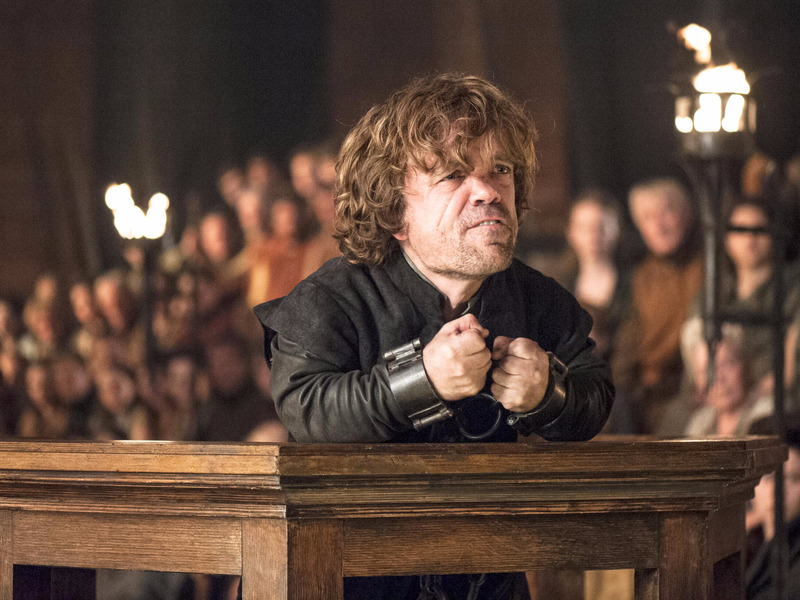 Tommen’s days are likely numbered. In this moment of the show, book fans knew exactly what Maggy was going to say next. Or so they thought. 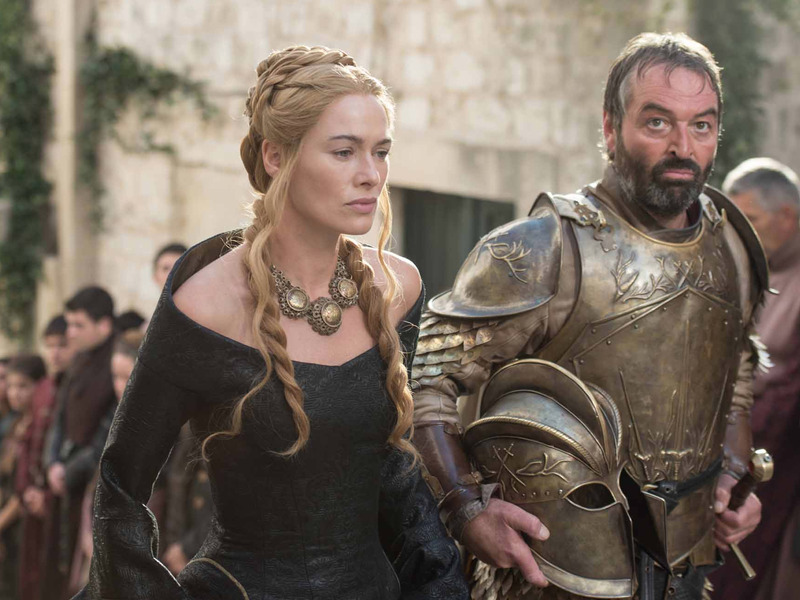 Instead, the scene quickly ended, cutting to present-day Cersei on her way to her father’s funeral. HBOCersei in her mourning gown, headed to Tywin’s funeral. She’s clearly musing over how recent events seem to be playing out along Maggy’s predictions. And here is where many book readers were left dismayed. The book text has a third, and crucial, line in Maggy’s answer. Before Cersei leaves the witch’s tent, she is told one final and foreboding thing. “And when your tears have drowned you, the valonqar shall wrap his hands about your pale white throat and choke the life from you,” Maggy says. This is huge in the realm of Cersei-centric theories. Not only does the text make it clear that her children are going to die before her, but it also predicts her murder at the hands of “the valonqar.” In the High Valyrian language of the east, “valonqar” means “little brother.” Maggy is telling Cersei that her death will come at the hands of a younger brother. Helen Sloan/courtesy of HBOTyrion was wrongfully convicted of murdering his nephew Joffrey. Knowing that, all minds may jump to Tyrion, the youngest of the Lannister children. He’s currently in exile after being persecuted unfairly by Cersei for the death of her son Joffrey. But, just as with Maggy’s first prediction, there are alternate interpretations to this line. Jaime — Cersei’s twin, lover, and father of her children — was the last to leave their mother’s womb, making him younger than Cersei by mere minutes. He is technically another of her “little brothers.” Could he turn on Cersei in the future, and strangle her to death? Their relationship was tense in season five. Cersei loathed Jaime’s missing hand, and therefore fighting skills, and then he blundered by releasing Tyrion and consequentially allowing his father to be murdered. Jaime is also becoming impatient with Cersei’s insistence on terrorizing Tyrion and her increasing paranoia. We have seen Jaime grow from the narcissistic “kingslayer” to a more compassionate and nuanced man. However, season six has shown Jaime reverting back to being Cersei’s number one man. Despite Myrcella’s death, the twins seem closer than ever. Jaime has assured Cersei that nothing else in the world matters except them. So were the “valonqar” theories wrong? Helen Sloan/HBOJaime will eventually need to decide if Cersei is worth losing everything for. We know from the books that Jaime does eventually become disillusioned with Cersei. This is partially due a major falling out he has with Tyrion, during which Jaime learns about Cersei’s lack of faithfulness to their relationship. But since the show left out that significant scene between Tyrion and Jaime, it’s unclear whether we’ll ever see Cersei lose her twin as a steadfast companion. The abrupt end to the fortune-telling back in season five makes us wonder why show creators David Benioff and D.B. Weiss left out the “volanqar” prophecy. Are they planning on revisiting the flashback and finishing out the scene at some point or is it not as important as book readers thought, and not worth mentioning? If it wasn’t worth mentioning, perhaps that’s because it sounded redundant and was already addressed in the first answer, where Cersei learns of “another, younger and more beautiful” who will cast her down. Could that individual be the same as the “valonqar”? As noted earlier, there is no gender associated with this younger and more beautiful enemy. Jaime Lannister, born moments after Cersei, is known for his devilish good looks across the kingdom. Jaime Lannister, whose character arc may lead him further and further away from the hateful and paranoid Cersei, could be her undoing. 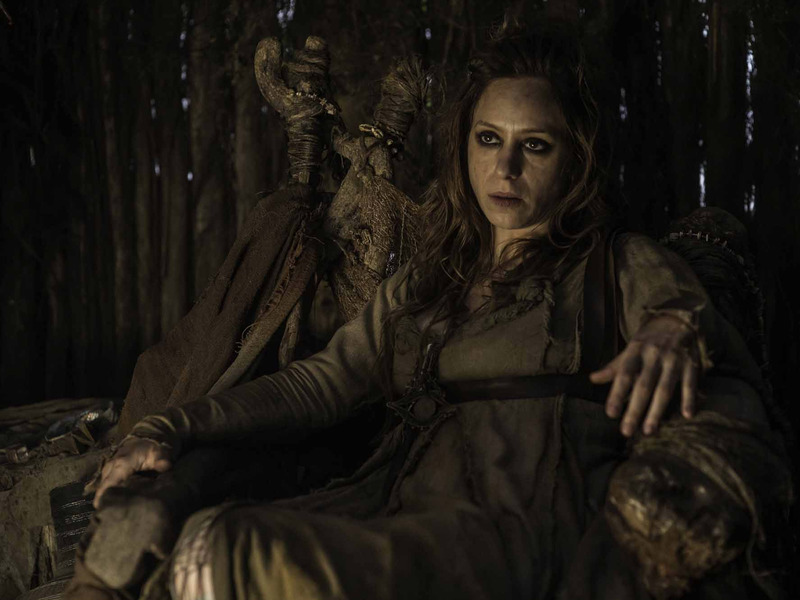 Helen Sloan/HBOCersei has built up a lot of bad karma in the past six seasons. 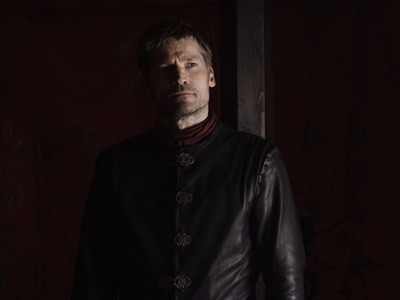 Now that Jaime has successfully won back Riverrun on behalf of the Freys, we can assume he’ll return to King’s Landing. 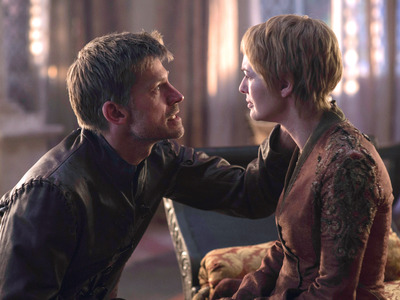 Cersei was denied the right to a trial by combat (the newly pious Tommen made the controversial call) and so she’ll need the support of Jaime more than ever. What viewers don’t know is whether or not Jaime is aware of all the charges. Perhaps him witnessing the trial and realising she had relations with Lancel will be part of his moving away from her. A darker possibility is that Cersei goes full-on crazy and causes irreparable damage to the city in an attempt to beat the High Sparrow. We know there are caches of wildfire (a magical fire substance capable of wiping out King’s Landing) everywhere in the city. And Cersei has told various members of her family that she would “burn cities to the ground” for her children. 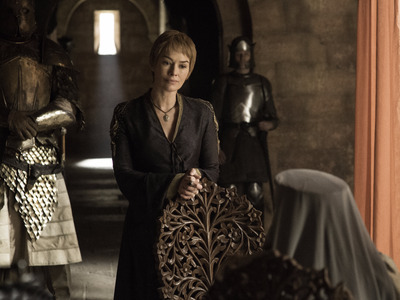 If she follows through with that promise, Jaime may finally be forced to see his sister for the cruel woman she is.